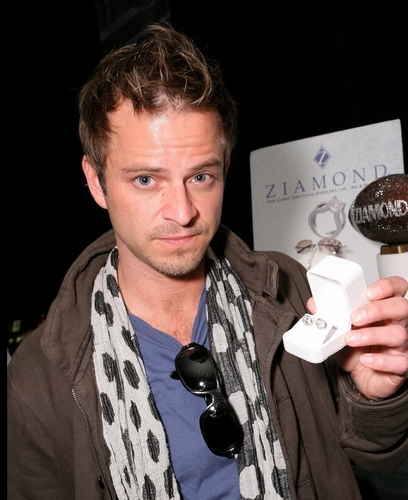 Carmine Giovanazzi with a pair of 14k white gold stud earrings by Ziamond Cubic Zirconia CZ Jewelers. Ziamond Cubic Zirconia CZ Jewelers features a variety of stud earring shapes and styles. Round, oval, princess cut, asscher cut, cushion cut, emerald cut, heart and marquis shaped stones are available in a variety of carat sizes. All Ziamond cubic zirconia cz jewelry is set in 14k gold, 18k gold and platinum.